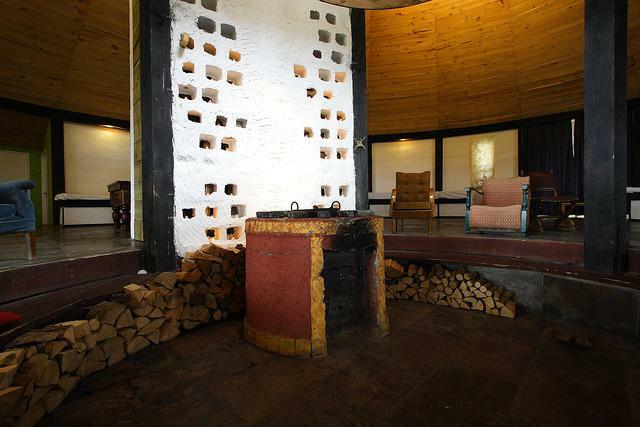 The Gyreum eco-lodge was built by 50 year-old Dubliner Colum Stapleton twelve years ago. It’s been described as ‘a wooden UFO that landed on the rural hillside’, a ‘Christmas pudding’ and a ‘pastiche of the 5000 year-old cairns that dot the hills of Southern Sligo’. This lodge is the perfect place for a group retreat. Gathering around the cozy indoor copper fire circle is charming. The homemade local food is hearty, and the keepers of the lodge are friendly and very helpful. Charming, quaint, restful place - and the gorgeous landscape and total darkness are great for daytime and night enjoyment. Since its inception Gyreum has grown organically, both in concept and operation, with more and more use of green synergies from geothermal and sunlight heating systems, to recycled rainwater shower facilities. If you choose a catered stay at Gyreum, you’ll be treated to the freshest, most fabulous local produce, including greens and other veg picked straight from our own garden.